Join us on this holistic wellness retreat in paradise and take home the tools you need to truly reconnect with yourself. 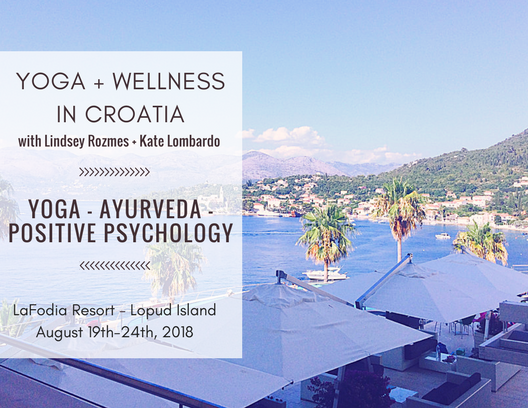 Get inspired by culture and Croatia’s breathtaking landscape as we clear our minds and elevate receptivity through daily practice and reflection. The intention of this retreat is to explore the balance between play and practice to recharge and delve into new dimensions of wellness and self-care. 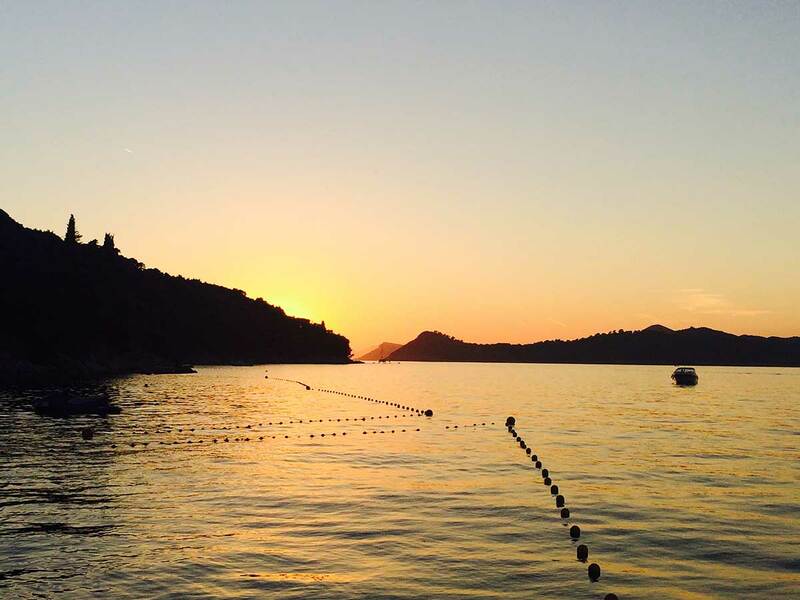 Our mornings will begin with invigorating yoga practice overlooking the Adriatic Sea. 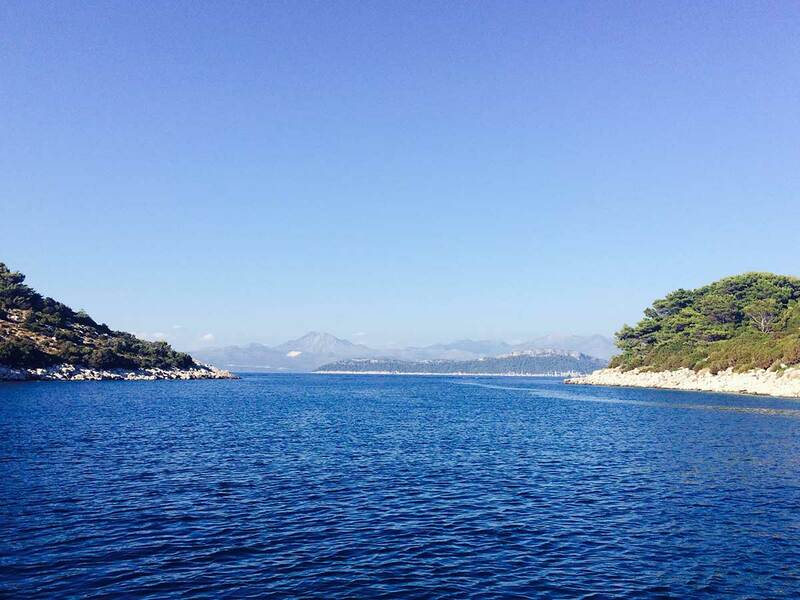 Daytime hours will be free for napping, exploring, sun soaking, swimming, hiking the hills of Lopud Island, etc. In the late afternoons, we’ll gather in the shade for our experiential workshops on Positive Psychology and Ayurvedic Wellness. One day, we’ll take a group adventure together on a private boat to explore the ancient city of Dubrovnik. There will be ample time to slow down, connect more deeply with yourself, and dive into life’s sweetest pleasures with some new friends! Additional options like spa treatments, Ayurvedic Nutrition and Lifestyle consultations, energy healing sessions, and Positive Psychology one-on-ones are available to schedule throughout the retreat. Lindsey is a NAMA certified Ayurveda Health Counselor, wellness mentor, and yoga teacher. She works with clients to inspire transformational shifts in their health and wellbeing. Her lifestyle programs infuse together the ancient practices of Ayurveda, self-care rituals, plant-based nutrition and yoga to pave the path to balance and intuitive healing. Kate Lombardo has a CiPP (Certificate in Positive Psychology) and is a RYT (Registered Yoga Teacher), Reiki Healer, and Wellness Consultant.